First I like to thank all of my fellow photographers that published their favorite tree image last week. it is great to have five talented photographers that are willing to work on a project and are wiling to publicly share their work. Out next project will be seen on this blog in July. 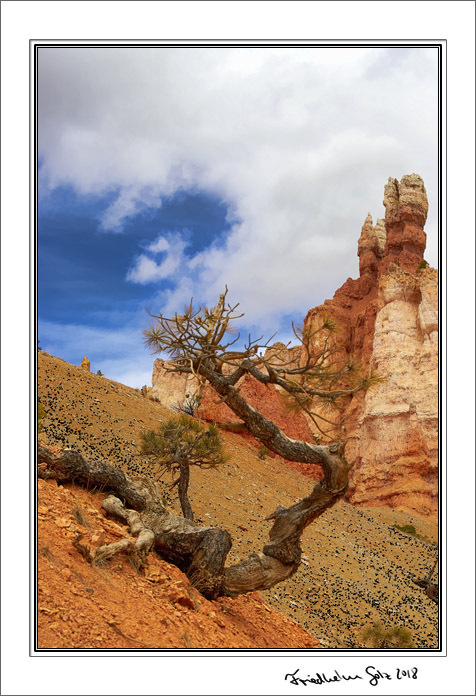 I photographed this tree in Bryce Canyon in Utah. Enjoy and keep on photographing!